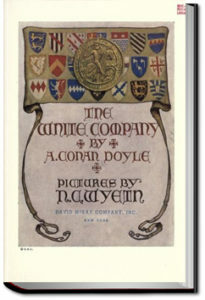 Set during the Hundred Years’ War with France, The White Company tells the story of a young Saxon man who is learning what it is to be a knight. Raised by Cistercian Monks and rejected by a violent elder brother, Alleyn Edricson takes service with one of the foremost knights in the country. When Alleyn falls in love with the knight’s daughter, he must prove himself to be a courageous and honorable knight before he can win her hand. Alleyn and his friends set forth with the other men-at-arms to join Prince Edward in Bordeaux, from where they will take part in the Prince’s campaign into Spain. It is in Spain that Alleyn and others must prove themselves to be very valiant and hardy cavaliers. This entry was posted in Action/Adventure Books on March 31, 2018 by allyoucanbooks.